Another stobie pole picture because the light was so special. More on the stobie pole in Converge. Written for the Daily Post photo challenge converge. Brilliant photo for this week’s challenge. 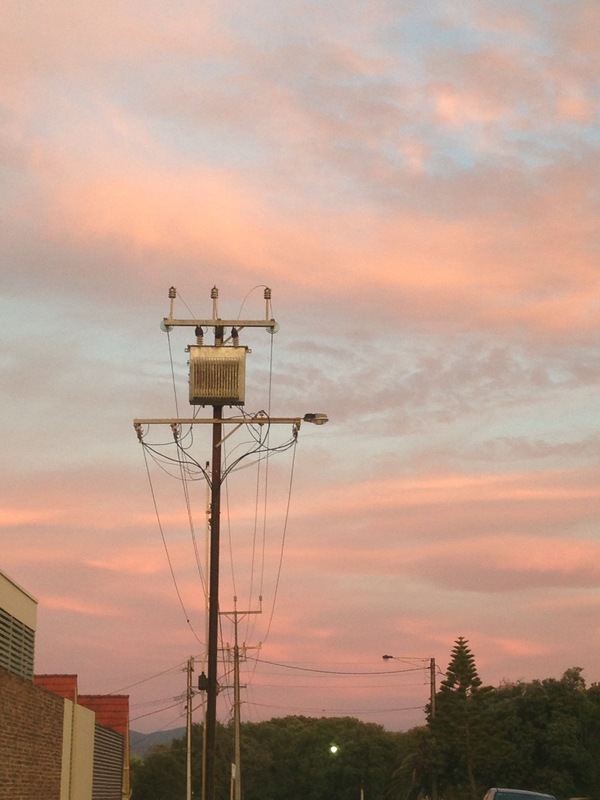 That is a very lovely sky in South Australia, the light pinks and the light blues together. We don’t often see such a sky like this in Melbourne, but we do see bright orange skies when there are clouds around sunset. Great capture. Thanks. We get awesome sunsets over the ocean. Check out # glenelgbeach365 on Instagram.